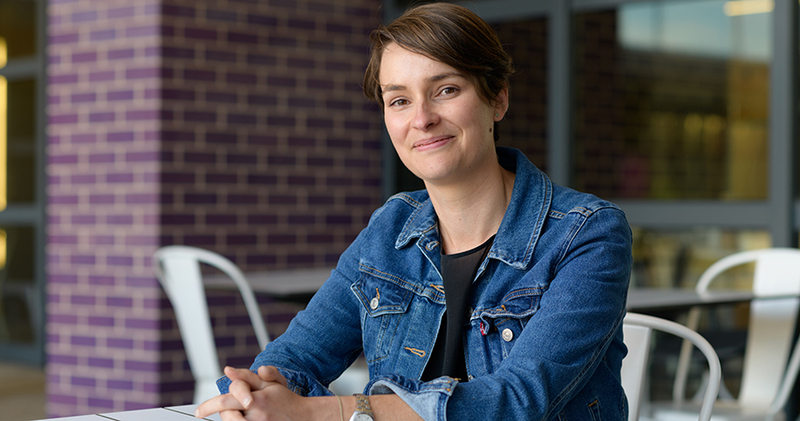 We chat with Dr Bénédicte André from the Department of International Studies who recently received a 2018 Arts Learning & Teaching Award for her expertise in streamlining and enhancing students’ progress in French Studies, aligning with international standards and fostering intercultural inquiry, skills and knowledge. Just over three years. I relocated from Perth with my family in 2015. Teach French languages and cultures, to research cultural productions of French-speaking islands and to support staff in my department in the area of learning and teaching. In my teaching, I focus particularly on deconstructing cultural stereotypes to foster a critical engagement with my department’s language and culture nexus and to develop students’ intercultural agility. In my research, I draw on an interdisciplinary framework to discuss how the experience of the island space influences the way representations of identity are constructed, performed and circulated in island literary and visual cultures. “Are you from Paris?” Nope … I’m from Réunion, a small French island off the coast of Madagascar. 1) Keep writing my paper, “Visual Cultures in the Contemporary Cultural Landscape of Réunion Island” for the Australian Society for French Studies’ conference at the University of Western Australia in December this year. 2) Mark my Advanced French students’ intercultural portfolio. 3) Prepare the next FSQC meeting on the new Curriculum Architecture. As much as I love my current job, I would say, Curator of the Macquarie Art Gallery. Dr Maryam Khalid (director of the Bachelor of International Studies). Maryam is one of those rare, passionate and generous colleagues, whose research and take on the world always make for great conversations. Her current project looks at two of the most significant institutions of contemporary global politics (the League of Nations and the UN) and is particularly timely in the current climate of tensions around and debates regarding global governance. The staff café. Hot tip: the chef also makes the best scrambled eggs. A definite Friday morning favourite of mine. I would commission an open sandstone amphitheatre that blends with Macquarie’s beautiful natural landscape, where the University could hold concerts, performances, cinema showings and functions. Art History. It introduced me to the significance of interdisciplinary perspectives by providing me with alternative ways to tackle the literary works I was reading at the time. One of my latest publications came out of the recollection of a discussion we had in one of my classes about Pointillism. Lisbon, I was there for three days on the way back from a conference. I thoroughly enjoyed hopping on trams, not understanding a word of Portuguese and getting lost in the warm and earthy colours of this ageless city. Pierre Desproges, a late French humourist, famous for his eloquence and sense of the absurd. I often use his skits in my advanced classes. His caustic humour and elegant irreverence would make for a great dinner party. The French translation of Elena Ferrante’s L’amica geniale (My Brilliant Friend), a four-volume novel spanning five decades that follows the lives of two friends born in the south of Italy in the 50s. I just couldn’t put them down. Le Sens de la fête (English release title: C’est la vie). This little gem of a film is all about the poetics of chaos. Perfectly relatable!